Becky Hindley describes herself as an actress with a love of growing and arranging flowers. 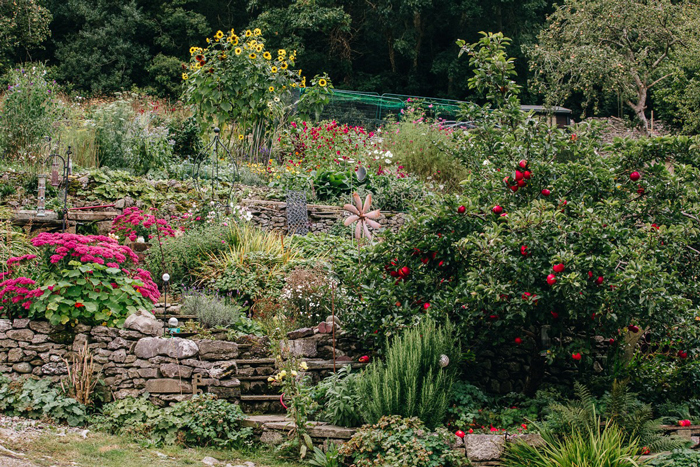 Nothing unusual there one might think, however, starting up your own horticultural business and taking on an old former market garden at the bottom of an outcrop called Warton Crag in North Lancashire, is perhaps not so usual. Becky’s route into horticulture, like so many before her, might be somewhat circuitous but her passion for flowers and for creating beautiful posies and arrangements, has seen her through a first successful year. Flowers have certainly been a draw for Becky ever since she left drama school in London. Acting is never a full-time occupation, there are often periods between roles when other work has to be sought and for Becky this came in the form of working part-time for a flower company in London where she gained experience and learned about the quality and variety of flowers, the colour palette and meeting customers’ needs. After that it was on to the City of London Cemetery and Crematorium where she encountered all sorts of situations with the requirement for many kinds of different floral tributes. Between these jobs she continued acting, working on the Radio Drama Company at the BBC and working in the West End. Then she found herself back north about ten years ago with a stint on Coronation street, but never lost the desire to work with flowers when she could. For Becky, it was the perfect forum to get ideas, help and motivation to think about starting up herself: “I visited some of the girls from the North West and spoke to them about working in the horticultural industry. 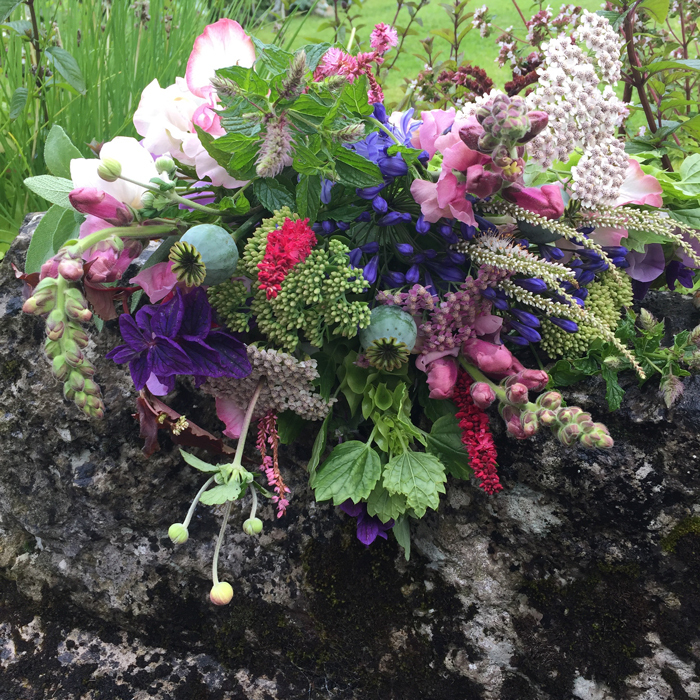 At the same time my friend Cathy Wallbank, had enough faith in my ability to offer me the opportunity to take on the old market garden and so I decided to take the plunge and start Picking Posies“, says Becky. She grows all her flowers from seed and is fortunate that the soil on the market garden is good, although as the garden rises it is shallower. In her first year she has grown a wide variety of flowers including Cornflowers, Cosmos, Grasses, Heuchera, Sunflowers, Larkspur, Sweet Peas, Alliums, Tulips and Dahlias. She can deliver a simple posy or something rather more theatrical and dramatic and confesses that she is at her happiest in her boots, digging, planting and watching it all grow. Working with clients and helping them to create their floral dreams is special and of course because she has grown her own plants, she knows better than anyone what will work for individual designs. Her first year has seen her creating floral designs for weddings, parties and corporate events as well as being able to offer creations for studio or theatrical sets or simply the kitchen table! 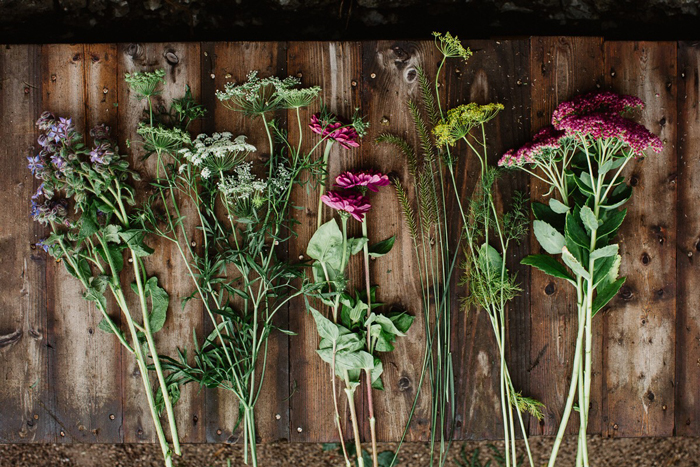 As Gill Hodgson, founder of Flowers From The Farm, points out, although the majority of British flowers are sold during the summer months, they can be grown in Britain all year round. For example, scented Narcissi from Cornwall and the Scillies come out in October while tulips from Lincolnshire are in the shops for Christmas: “We want more people to start growing flowers for their local market“, she says. “Whether it’s weddings, a roadside stall, funerals or farmers’ markets, wherever members of the public see our flowers they are delighted by them. “There’s a whole generation grown up rarely seeing flowers other than those offered by supermarkets – they recognise Chrysanthemums, Carnations, Roses, Lilies and Gerbera but our members are introducing them to myriad other varieties like Hollyhock, Dahlia and Poppy and mixing them with fabulous foliage such as Raspberry cane, feathery grasses and Oak“, she continued. Becky is also aware that part of the skill is using the many forms of winter foliage and scented shrubs to enhance posies and arrangements during the winter season and as the festive season approaches there is plenty of inspiration growing all around us. 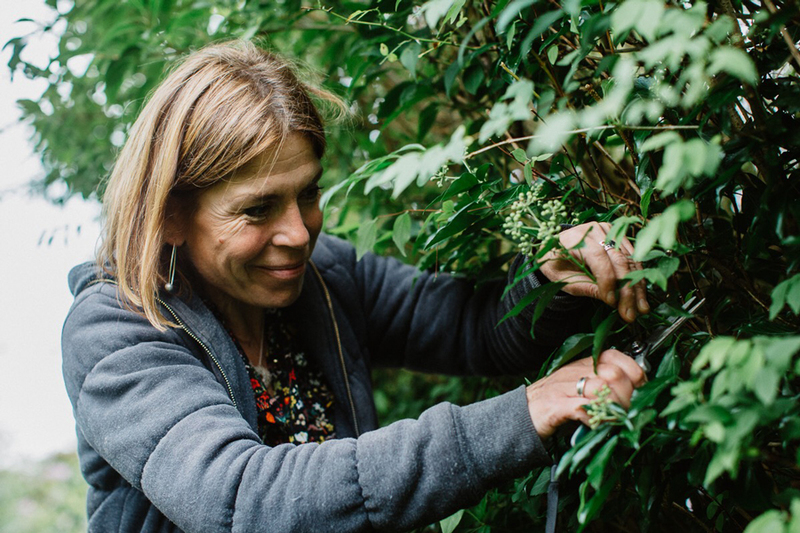 As an organisation, Flowers From The Farm, has grown from one member to over 500 in seven years, all of whom, like Becky, are growing traditional varieties with forgotten scents and selling their locally grown seasonal flowers to the British public. For both Gill and Becky, they know this is a movement that is going to go from strength to strength as more and more people start to appreciate the value and beauty of locally grown varieties. Photo credits: All photographs ©Becky Hindley, credit: Joe Mather (marked) including Banner at top of page.